We are one of the largest suppliers of quality seasoned hardwood logs in the area. Established for over 25 years we have hundreds of satisfied customers and guarantee complete satisfaction with every load delivered. We provide both traditionally seasoned and kiln dried logs. We hold vast stocks of timber so can usually fulfill any special requests. Any delivery can be made within 24 hours if required. 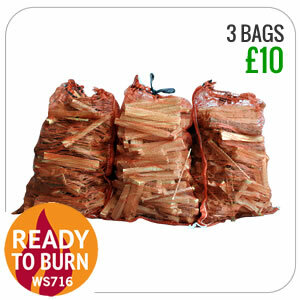 We also supply bagged logs and kindling wood for your convenience. Our kiln dried logs are conveniently packaged for home delivery to Horsham and surrounding areas in large or extra large sized bulk bags. We use British Hardwood which is dried to less than 20% moisture content in our kilns using the latest biomass boiler technology. Our kiln dried logs burn hotter than traditionally seasoned fire wood and are easier to light. Our traditionally seasoned firewood is stored for a minimum of 12 months to season thoroughly. Our standard loads consist of mixed seasoned hardwood (mainly Ash, Beech and Oak) cut and split to your required size from 8" to 24" in length and delivered on a tipper truck. 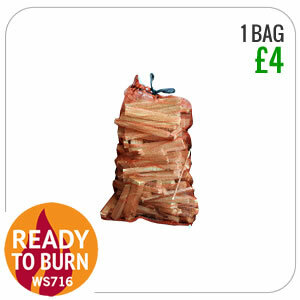 Small netted bags of kindling. Invaluable for lighting your fire. 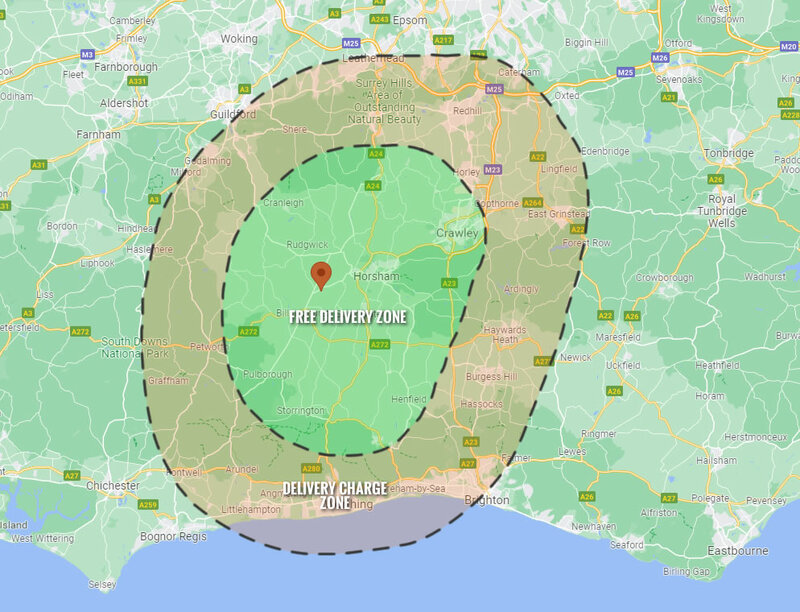 We offer FREE DELIVERY within the GREEN zone shown below. A delivery surcharge applies for locations within the ORANGE zone.